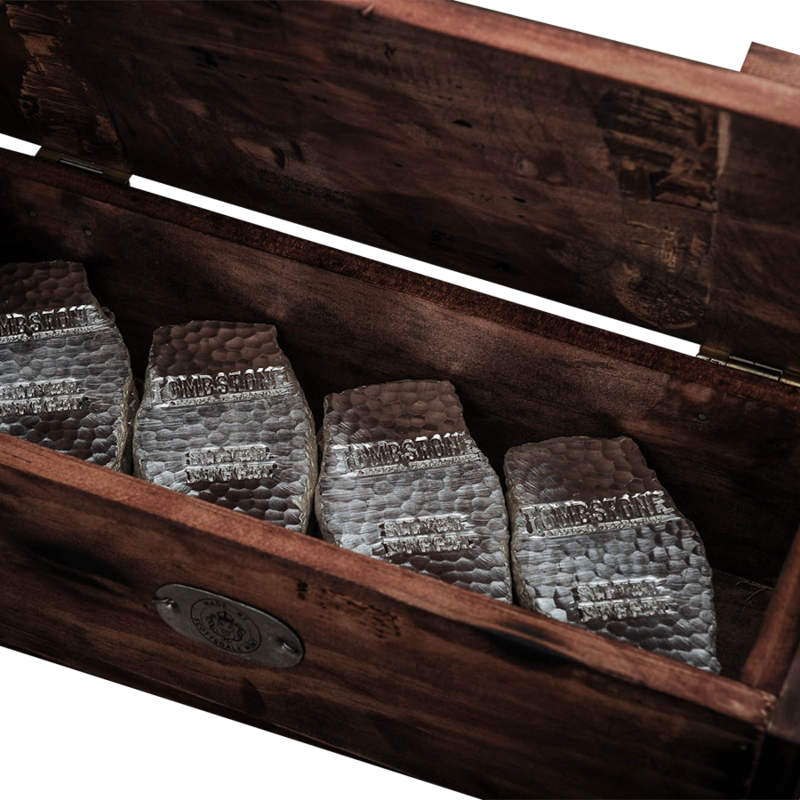 The Wooden Scottsdale Tombstone Monster Box is designed for Silver Nugget Bars. 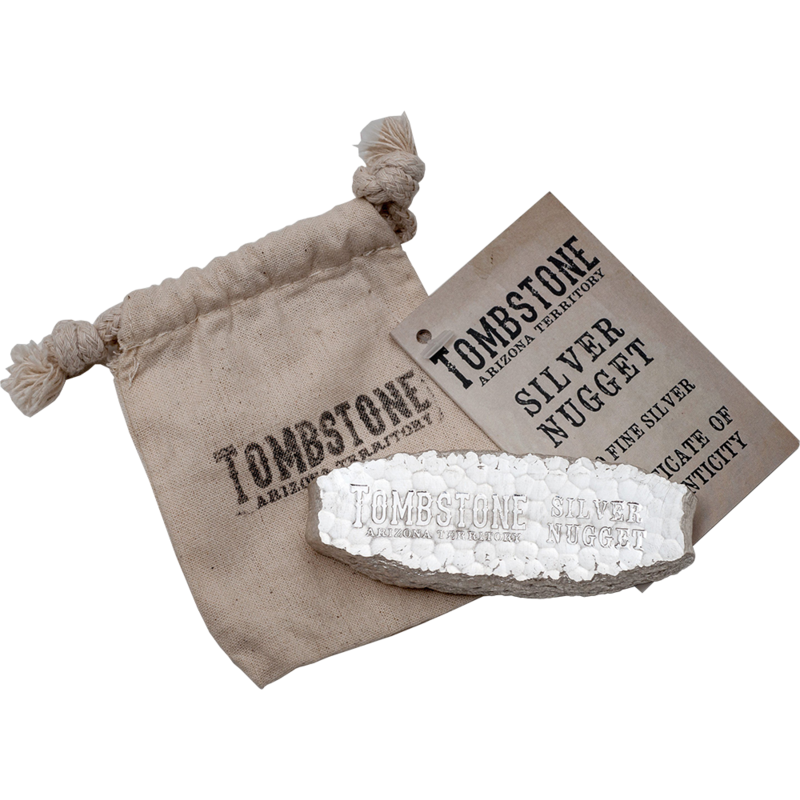 This is a collectable, authentic, hand-made in the USA wooden box in which to store your Scottsdale Tombstone Silver Nugget Bars. Hand made in Scottsdale, Arizona. Dimensions: 39cm x 16.5cm x 14cm. 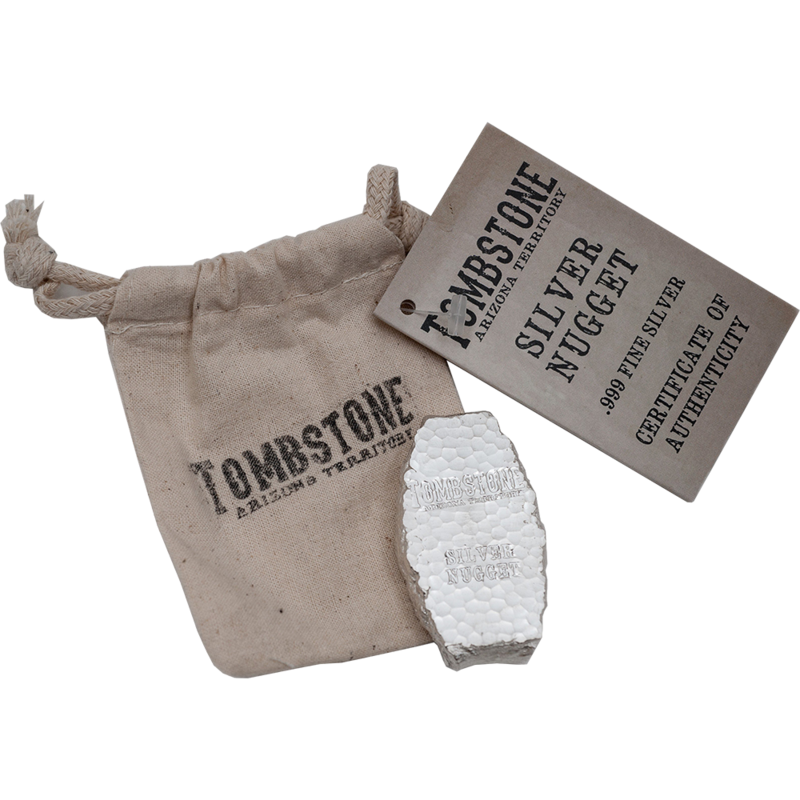 The front of the box is inscribed label with the Scottsdale Mint seal. 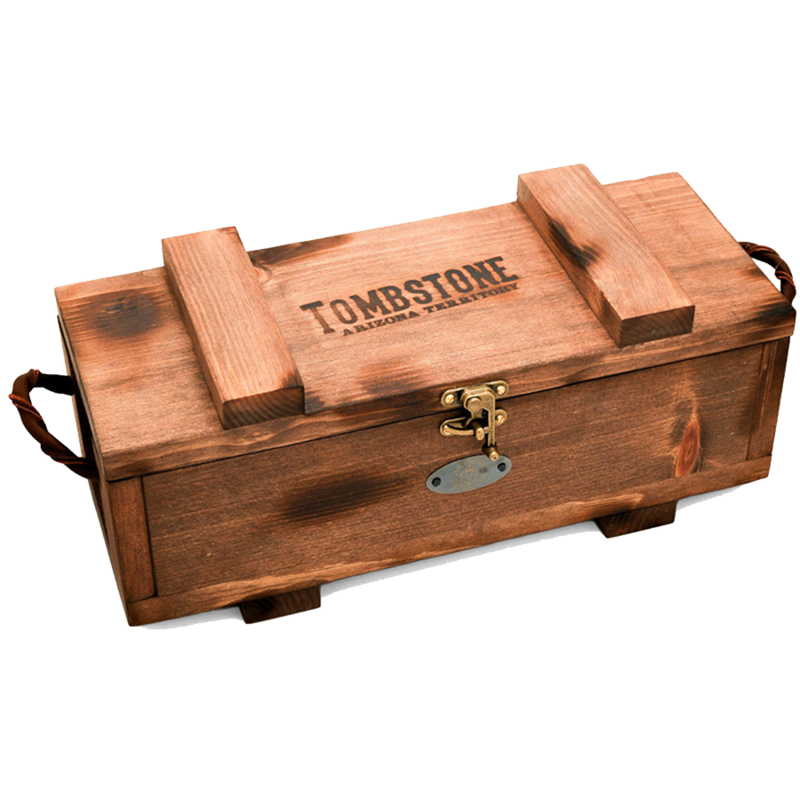 This authentically stained & distressed style real wooden box has genuine leather handles on each end and leather hinges on the lid. 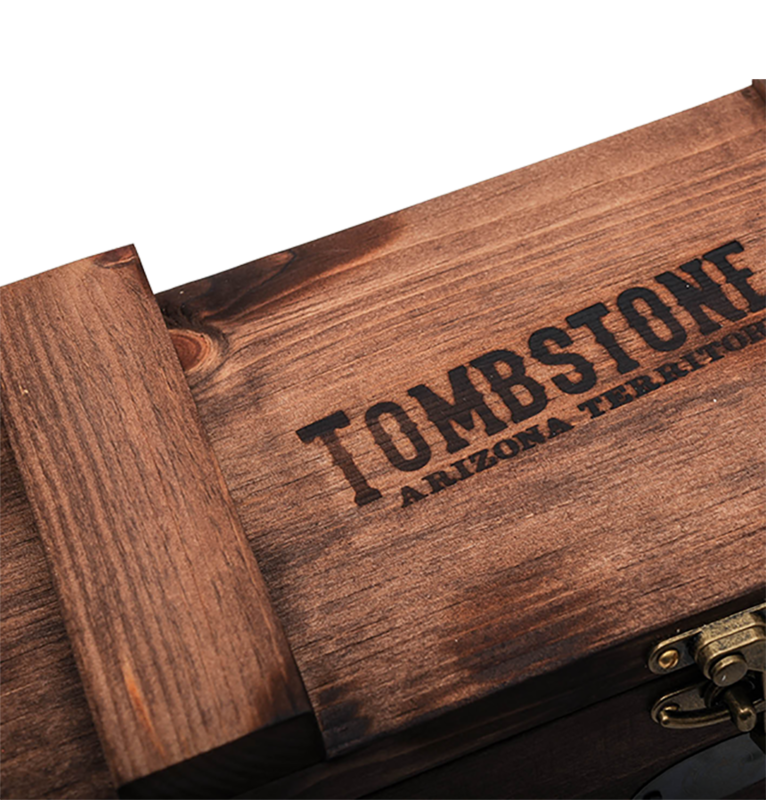 The lid closes with a hook fastening and the words 'Tombstone Arizona Territory' are hot-branded onto the top. 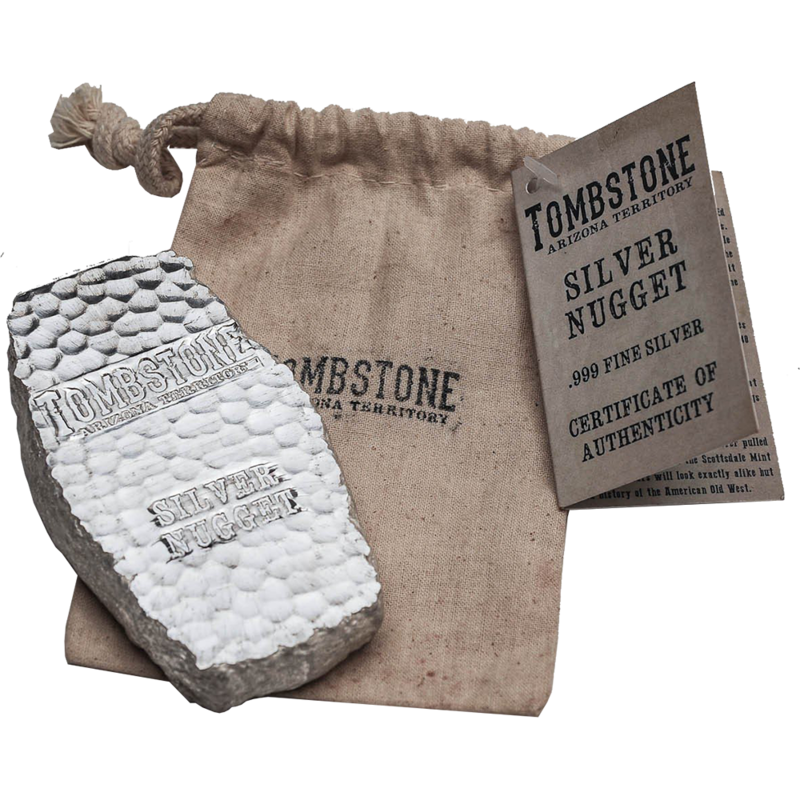 Whether you already own a collection of bars, or have just started- this collectable box is the perfect way to store & display your bags of Scottsdale Tombstone Silver Nugget bars! This product is for the box only, it does not include any bars.